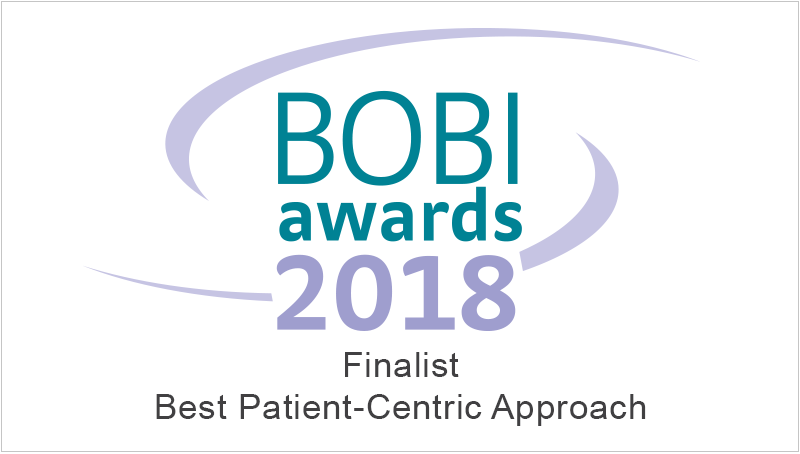 FORT WASHINGTON, PA (March 7, 2018) — We’re pleased to announce that we’ve been shortlisted as a finalist alongside Surrey Heartlands Health and Care Partnership in the “Best Patient-Centric Approach” category of this year’s BHBIA BOBI Awards which demonstrates an innovative service redesign workshop, recruiting both patients and physicians to collaborate on services in the region. This approach could be considered transformational in terms of culture change within the NHS given the depth of consideration given to patients and their needs. The award for best patient-centric approach is granted to the business intelligence project or approach that best helped a company put patients at the heart of decision-making. The focus of this award is on the demonstration of true engagement with patients to understand their needs, and learn first-hand about their experiences of living with a particular condition or disease. The judging panel also consider how the approach generated deep patient insight to aid decision-making. Additionally, there must be clear evidence of tangible impact in influencing a UK client’s patient-centric strategy. In collaboration between Tom Pugh and Hannah Brown of M3 Global Research and Richard Stockley of Surrey Heartlands Health and Care Partnership, this project could be considered transformational in terms of culture change within the NHS. Surrey Heartlands STP approached M3 Global Research to support, and professionalise, a programme of research to inform a project co-designing treatment pathways inside the STP footprint which brought together the needs of ‘citizens’, clinicians and stakeholders at all levels. Citizens include patients, residents, carers and service users, as well as engaged stakeholder groups. Now being advocated as best practice for ongoing work across the NHS in collaboration with The King’s Fund and NHS England, the project has demonstrated the benefits of a patient-centric approach and illustrates why—and how—the NHS needs to change its approach to engagement. The BOBI Awards (Best of Business Intelligence) were launched in 2006 with the first awards being presented in 2007. They are the first and only healthcare-specific business intelligence awards scheme in the UK, giving professionals in the industry an opportunity to gain peer recognition for excellence across the business intelligence spectrum - from market research (including fieldwork) through to sales analytics and related disciplines.